In certain cases where a grandparent has an existing bond with their grandchild, they may have legal rights to visitation. The lawyers at Shore, McKinley, Conger & Jolley, LLP, serving the Stockton, CA, area, have represented clients for decades, navigating California family law and protecting grandparents’’ rights. 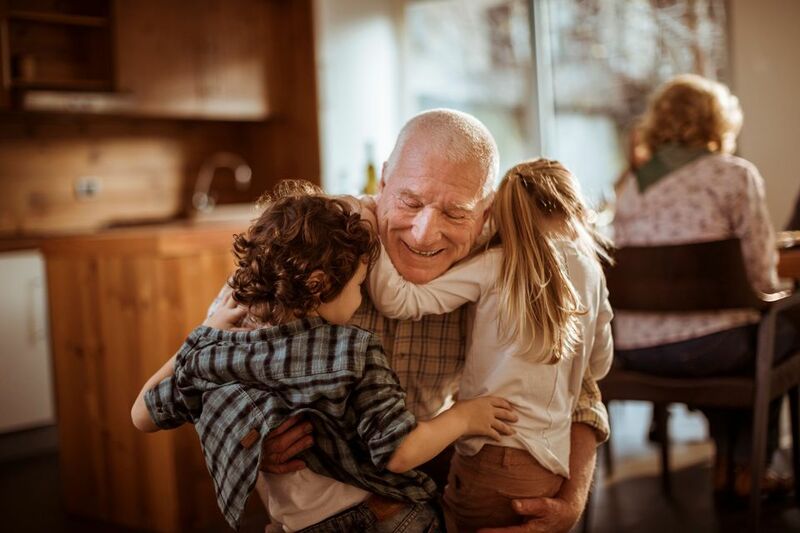 A lawyer fighting for grandparent’s rights pursues all legal remedies available to grandparents to protect their future and their relationship with their grandchildren. Grandparents can have a positive, lasting impact on their grandchildren's lives. In California, grandparents can have either custody or visitation rights with their grandchildren. In order for a grandparent to obtain these rights, certain legal standards must be met, and it takes a careful assembly of evidence to present to the Court in this regard. Grandparents need to prove a pre-existing relationship with the grandchild, and that disruption of that relationship is not in the best interests of the child. What Is Needed to Seek Grandparent Rights? A bond between the child and grandparents must exist, the relationship must be pre-existing, and the type of bond that if broken would be detrimental to the child. Visitation must be in the best interests of the child, which is directly related to the relationship enjoyed by the child and grandparents. Each case is unique, and what is best for your case may not be the same as in other matters. Grandparents’ rights is a specialized area of law. We help maintain this bond in all types of circumstances. Because of the individual facts in each case, determining what is in the best interests of the child depends upon distinctive elements of each matter. When a grandparent is able to establish these two factors, the case is eligible for making a request for enforcement of grandparent rights. What Conditions Should be Met to Request Grandparent Rights? The location of one of the parents has remained unknown for at least a period of one month. One parent agrees to or joins in on the request for grandparent rights and visitation for their child. The child is not currently living with either parent. The child has a parent who has been placed in an institution involuntarily, or is in jail. When any one of these conditions is present, the Court will hear the grandparents’ request for visitation. When the grandparent is able to prove the two elements needed to seek grandparent rights, a pre-existing relationship and that continuation of that relationship through visitation is in the best interest of the child, grandparent rights are typically granted. Establishing a relationship and a circumstance that gives rise to the right to seek rights is governed by statute. The statute requires the grandparent to serve a copy of the request on each of the parents, any stepparent, or any person with the rights of physical custody over the child. The case will be ordered to mediation and if the parties are unable to come to agreement during the mediation process, the Court will step in and hear the matter. Factors such as the safety, health (both physically and mentally), and history of the grandparent will be considered when the Court makes its final decision. It may become necessary to take testimony from the child (if the child is old enough), the grandparents, and others familiar with the family. Records of prior drug or alcohol use, or domestic abuse are also taken under advisement and can negatively impact a bid for grandparent visitation rights. If you are seeking rights as a grandparent, or need to have your rights enforced, call (916) 307-6880 or contact our firm online. We understand this complex area of law, and help take the emotional toll off your shoulders.